Patient and family-centered care design allows the practice to combine the evidence base with the voice of the patient and family. It allows the practice to tailor care delivery to meet the needs of individual patients and the entire population served. Through the coordinated efforts of an expanded care team, in partnership with patients, families, and community, the practice can promise results. “Do our teams reflect the respect and collaboration we commit to create with our patients? Significant disparities in health status, access to healthcare services, and in life expectancy and disease prevalence exist in Maine and across the country. The reasons underlying these disparities are complex and multifaceted. One important area that negatively impacts patient access, interactions with the healthcare system, and the patient-provider relationship and can be changed with focused efforts by healthcare professionals is implicit bias. Implicit bias are those attitudes or stereotypes that affect our understanding, actions, and decisions in an unconscious manner. Practice providers, practice staff, practice administrators and various other health care related fields. This learning module is intended to help practices develop a more streamlined and person-centered approach to care within the medical neighborhood in order to better align with the Quadruple Aim. Learners will be oriented to what person-centered care transitions are and how some medical neighborhoods have implemented them utilizing existing models/best practices. This module is intended to build understanding of the topic of health equity, health inequities, and health disparities and to raise awareness and prompt critical thinking about the scope and extent of health inequities and health disparities present in practices across the Northern New England Practice Transformation Network. Everyone involved in healthcare delivery and administration can play an important part in moving toward health equity. We will explore resources and tools that can support individuals and practices in that movement. And we will hear from a variety of practices that have assessed and investigated the health inequities within their practice settings and taken steps to address them. This learning module is part of the NNE-PTN Series with the Daniel Hanley Center for Health Leadership. 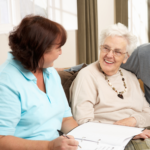 This learning module seeks to address the TCPi Drivers, specifically targeting Patient and Family Engagement and Continuous, Data Driven Quality Improvement as effective drivers that benefit from an improved cost of care conversation. Through examination of relevant studies and research-based models, participants will gain an understanding of how to advance cost of care conversations in the practice setting to improve patient outcomes. The learning module will include practical tools that participants will be able to employ with their practice, as well as identify behaviors to model in order to best support team members in cost of care conversations. This learning module is designed to assist practices working as members of medical neighborhoods to identify effective interprofessional approaches to advance quadruple aim outcomes across the continuum of care. Participants will be oriented to the core competencies of collaborative healthcare and gain an understanding of the importance of adopting and developing a trauma-informed framework in overall practice transformation. 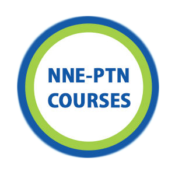 Practice and system leaders, providers, and staff enrolled in NNE- PTN. Want to receive effective, high value care. Help patients take charge of their health, and foster healthier patients with better outcomes. Bringing medical and behavioral health services together within primary care, the team is better able to meet the mental and general health needs of the patient. Increasing administrative responsibilities—due to regulatory pressures and evolving payment and care-delivery models—reduce the amount of time physicians spend delivering direct patient care. When both physicians and patients understand how to make wise treatment decisions—such as choosing care that is supported by evidence, is not duplicative, has the lowest possible risk for harm, and is truly necessary—patient care and physician satisfaction will improve.